This Chinese New Year, I noticed something I’d never noticed before in China. All of a sudden, cars and other vehicles were sporting little red squares of paper. They were adorning the hoods, front ends, or back bumpers of most cars and vans around town. Sometimes they were a little fancier than just a plain ol’ square. 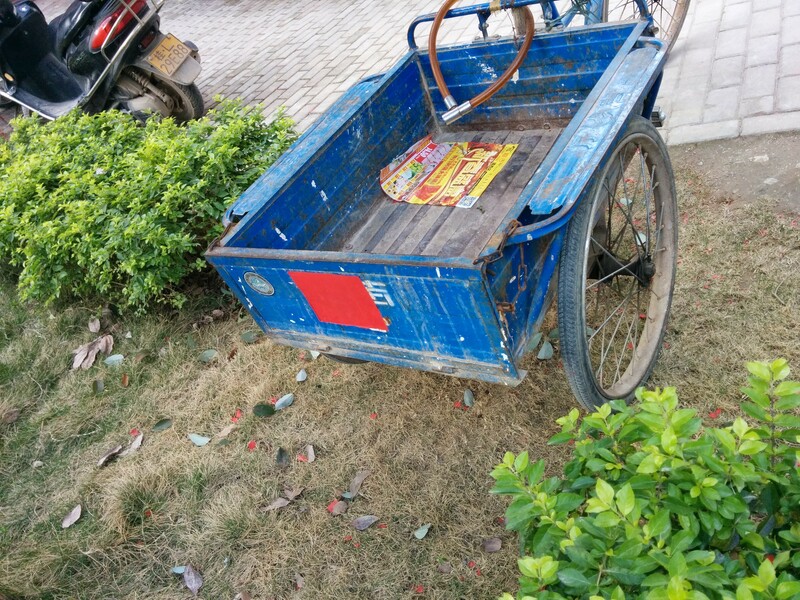 They were also on sanlunches and tricycles. 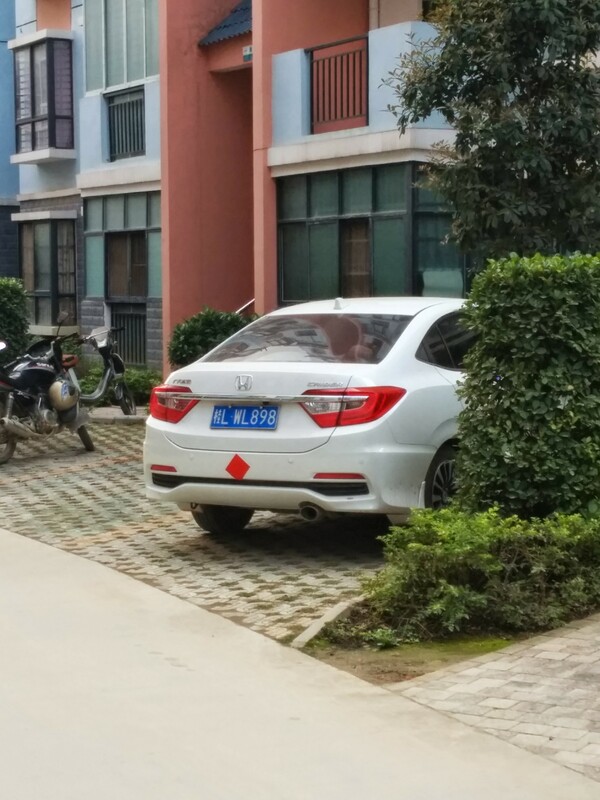 I keep forgetting to ask my local friends about it, but my guess is that they’re the vehicle equivalent of chunlian. 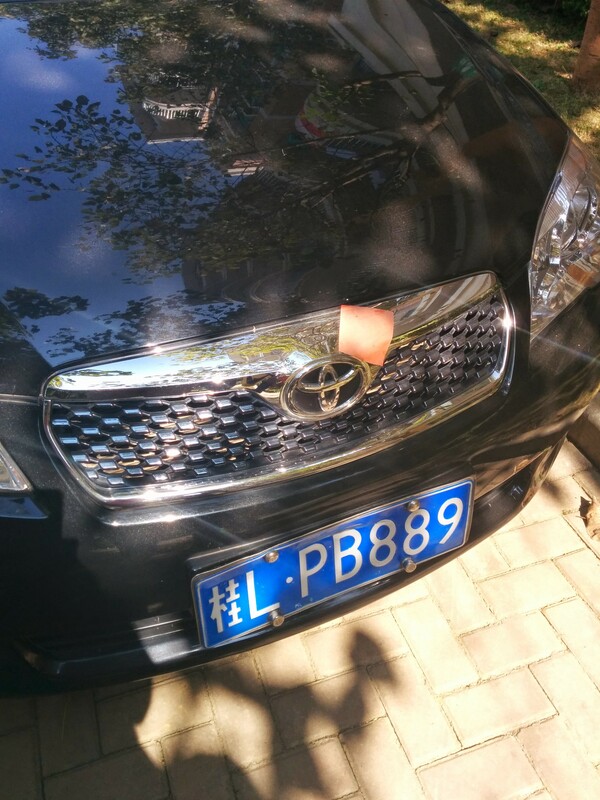 We see red ribbons tied to the sideview mirrors of every kind of motorized che all year ’round, but these squares seem to be especially for Spring Festival. They’re already starting to fade and wash away from sun and rain, so I don’t think they’ll last much longer. Have any of you China dwellers seen this in your area? I’m curious to know if it’s just our little town or not. I’m also curious to find out if they make an appearance again next year to welcome Year of the Monkey! Seasons & Holidays, What in the Middle Kingdom? Hey! 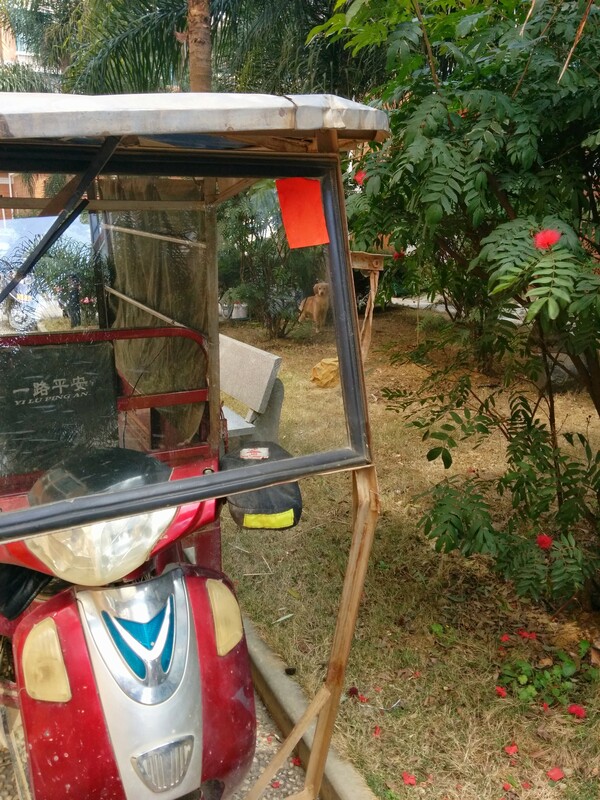 I live in ChuXiong (about an hour and a half/two hours west of KM) and we have those little red squares around here too. I’ve never remembered to ask local friends for the meaning – but I’ve definitely seen them around! Hi, Tiffany! I’ve actually been to Chuxiong – small world! I’d love to hear what your local friends say is the meaning behind the red squares. We only saw them right around Chun Jie when we were in Guangxi.